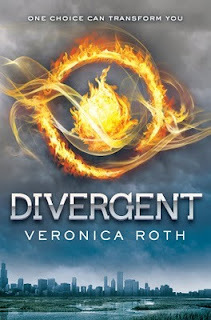 Description from Goodreads: In Beatrice Prior’s dystopian Chicago world, society is divided into five factions, each dedicated to the cultivation of a particular virtue—Candor (the honest), Abnegation (the selfless), Dauntless (the brave), Amity (the peaceful), and Erudite (the intelligent). On an appointed day of every year, all sixteen-year-olds must select the faction to which they will devote the rest of their lives. For Beatrice, the decision is between staying with her family and being who she really is—she can’t have both. So she makes a choice that surprises everyone, including herself. I dare you to tell me this doesn't sound amazing. 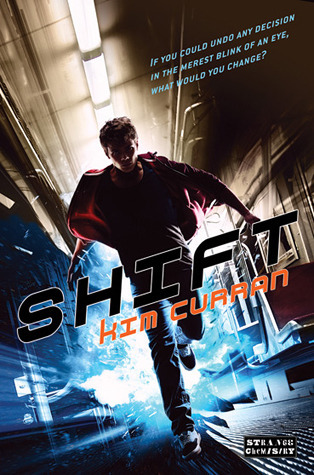 I mean, come on, it's a dystopian YA novel (yes!) that takes place in the fabulous city of Chicago :) From the description, it sounds like an exciting plotline with perhaps a forbidden romance? Everyone who has reviewed an ARC of it says that it is AWESOME - so here's to hoping they are right! Great pick. I can't wait for this one to come out. Oh yeah. Definitely waiting for this one. An excellent choice! Nice pick! I can't wait for this to come out. Yeah! Super fantastic choice. I'ma new follower by the way. Come by and check out my WOW if you getta minute. Oh I am so waiting for this one, great pick! I think every single blogger friend I know is waiting for this, including me! Some people are just lucky to have read this first, but I'll wait! really awesome WoW pick here! I have seen this book in some blog. As you said in your post, most of them enjoy reading it. Yes! This is my WoW pick this week as well. I'm excited to get wrapped up in another dystopian world! Umm, this sounds awesome! I can't believe I haven't heard of it before now. Thanks for bringing this to my attention! This id a much anticipated novel. I have it on my wish list too. Great pick! I've heard good things about this one! I think a lot of people are waiting for this one. I have heard lots and I want to read this one as well. Nice pick. I'm very exited for this books as well! Thanks for sharing ;) Here's my WoW for this week. Sounds like another good YA series. I can't wait for this one! I hope that the book lives up to all of our expectations.